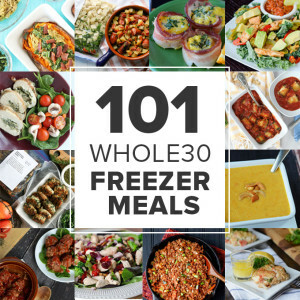 Join us at Once A Month Meals as we show you how to prepare ALL of your meals for your next Whole30 using freezer cooking and the Instant Pot! Whether it’s your first or your fifth Whole30, these easy Instant Pot dinners will save you loads of time and make way for your success! Watch as we assemble this ENTIRE Whole30 Instant Pot menu! It contains 5 Easy to Assemble Whole30 Compliant Recipes that Double to Make 10 Meals in the Instant Pot! Rich Coconut Chicken Curry, smooth and savory Tomato Basil Beef Soup, and classic Granny’s Italian Beef highlight this Whole30 compliant meal plan. 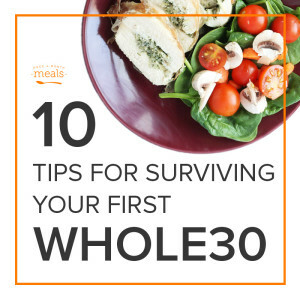 The Whole30 Community is hosting a Whole30 challenge in September! Click below to learn how to join their challenge and see what it’s all about, as well as how to get started!